Welcome home to Rancho Bella Vista! This three story cul-de-sac home is absolutely turnkey and ready to move in! Upon entering the front door, you are greeted with beautiful wood look tile flooring and an open flow into the spacious family, kitchen, and dining areas. The downstairs offers a flowing floor plan with a full bedroom and bathroom. The bright kitchen features upgraded cabinets, granite countertops, and a large island with bar seating, and opens up to the dining area with access to the patio and well sized backyard with a pool. The family room is complete with a fireplace and lots of natural light. Upstairs offers a large master bedroom, three roomy guest rooms all with their generous sized closet, and an additional loft/study area on the third floor. The master bedroom offers plenty of room, two walk in closets, views to the front of the house and a nice size master bathroom with dual sinks and granite counters. The three upstairs guest rooms are well sized and ready for family and/or guests. The generous sized backyard offers a large patio area with Alumawood patio cover and a fully gated pool area just in time for summer. LOW HOA & Temecula Schools, make this community highly desirable. Come make this place home and see all that Rancho Bella Vista has to offer! Welcome to the highly desirable Rancho Bella Vista community where you are just a short distance to Temecula schools, local wineries, shopping, restaurants, and Lake Skinner! Find yourself at home at 37596 Needlegrass Rd- a highly upgraded model with the Next Gen suite floor plan and a three car garage. Stunning custom designed landscape crafted with California native plants and vibrant colors showing off the pride of ownership. As you walk in, be greeted by the clean, contemporary details with the wide plank flooring light in color, and calming grey walls. The great room down the hall consists of a spacious family room and an open kitchen. Gather by the cozy fireplace and watch a good movie, or entertain with plenty of space for everyone. The kitchen was done with the modern cook in mind- stainless steel appliances, espresso cabinetry, sleek glass tile backsplash, and a large island with bar seating. The Next Gen suite is downstairs with its own kitchenette, bedroom, bathroom and separate laundry room. The rest of the bedrooms are upstairs, along with a LOFT AND a separate office!! A fantastic backyard to hang out in with a custom fire pit, stamped concrete patio, alumawood patio cover with outdoor fans, and a tranquil side yard with a spa. Come enjoy what this home has to offer in this low HOA community! ***Price Reduction*** Surrounded by open landscape at the end of a cul de sac, located in the desirable community of Rancho Bella Vista, this home bubbles over with love and care by the sellers. Upon entry, the vaulted ceiling and open floor plan will catch your attention. Enjoy the large kitchen with ample counter space, plenty of cabinets and center island. This home easily flows from the kitchen to the landscaped backyard, surrounded by open serenity and privacy. Upstairs, the Master Suite overlooks the private backyard and includes a soaking tub, separate from the shower, and remarkably large walk-in closet. All 4 bedrooms upstairs are accompanied by a conveniently situated laundry room while downstairs remains the 5th bedroom that has been most recently used as an office. The entire neighborhood is well maintained and is a mixture of appealing homes, not just a cookie-cutter master plan. Open spaces and nearby hiking trails help people to connect with nature and a sense of safety. HOA dues;$50/mos. CCRs are attached in supplements. Come fall in love with this house and make an offer. Check out this beautiful pool home located in one of Temecula Valley’s best neighborhoods…Rancho Bella Vista! This property is an entertainer’s delight and features a sparkling private pool/spa with outdoor barbecue and fireplace with cozy sitting area to enjoy our wonderful wine country weather. The current owners have added several efficiency and comfort improvements such as: integrated whole house fan system (a very energy efficient method for cooling homes in summer), variable speed pool pump and double layered insulation in the attic. Additionally, the property is equipped with Honeywell’s latest wi-fi controlled climate management system along with wi-fi controlled irrigation for easy modification of watering and usage management. Also included is a state-of-the-art security system. The kitchen features slab quartz counters, large island and upgraded appliances. The master suite is spacious and with walking closet featuring upgraded closet organizer to keep things together. You’ll love the full-size 3-car garage which offers loads of room for your cars and toys along with copious overhead storage. Rancho Bella Vista is one of Wine Country’s most desirable neighborhoods and this home is located walking distance to Temecula’s top rated elementary school. Lastly, this home is just minutes from Temecula’s finest dining, shopping and Wine Country so you are perfectly located next to all the best our valley has to offer. Rancho Bella Vista is a residential neighborhood located in southwestern Riverside County, California. It is a growing neighborhood and one of Southern California’s up and coming communities. Largely residential in character, Murrieta is primarily a commuter town, with many of its residents commuting to jobs in San Diego County, Orange County, the more commercialized neighboring city of Temecula, and Camp Pendleton. This community, built between 2002 and 2005, is nestled in a prime location in Riverside County. It is bordered by Temecula to the south and the newly incorporated cities of Menifee and Wildomar to the north. With neighboring Temecula, Murrieta forms the southwestern anchor of the Inland Empire region. It is almost equidistant to San Diego, Los Angeles, and Orange County, making it ideally situated to all that Southern California has to provide. Real estate options in Rancho Bella Vista are vast for potential residents. The 1,134 single family homes in the development include many modern upgrades and range in size from 1,640 square feet to 3,771 square feet. Whether you’re looking for an excellent place to raise your family, or you want to search out a home in a wonderful neighborhood, then shopping for a home in Rancho Bella Vista is for you. Homeowners in Rancho Bella Vista have access to an array of shops, restaurants, and entertainment venues. The Rancho Bella Vista community offers homeowners access to amenities including many family friendly activities like the Rancho Bella Vista Community Center and Park, the Mulligan Family Fun Center, with miniature golf, go kart racing, laser tag, and an arcade. If you have a family with children and education is of concern, you will be happy to know that residents of Rancho Bella Vista have access to quality, award-winning facilities. For additional information on schools serving Rancho Bella Vista community, you can easily access their individual websites: Antelope Hills Elementary School (http://www.murrieta.k12.ca.us/Domain/102), Shivela Middle School (http://www.murrieta.k12.ca.us/shivela), and Vista Murrieta High School (http://www.murrieta.k12.ca.us/Domain/1674). Homes in Rancho Bella Vista offer a comparatively low tax rate for property owners. The Rancho Bella Vista Homeowners Association is managed by Avalon Management (http://www.avalon1.com/). The HOA can be reached at 31608 Railroad Canyon Road, Canyon Lake, CA, 92587, and their office number is (951) 244-0048. If Rancho Bella Vista seems like the right community for you or your family, we invite you to contact us. Explore this beautiful community with one of our qualified and knowledgeable Rancho Bella Vista Real Estate Agents today! If you’re already working with a Real Estate agent, please utilize your agent’s website & direct expertise to aid in your home search. We are only able to directly serve our own clients. Thank you for your interest in the Rancho Bella Vista community, and we wish you the best of luck with your Real Estate needs. Whether you are contemplating buying or selling a home in Rancho Bella Vista, it is important that you hire the right team that fits your needs. We roll out the red carpet for buyers & sellers alike, and ensure you have access to us 24/7, as we aim to earn your business for life! 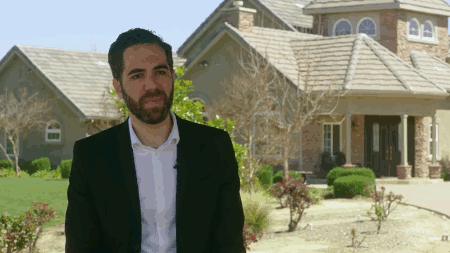 We understand the market well, and you will not find a more qualified Rancho Bella Vista real estate agent to help you with all of your Real Estate needs! As a buyer, you will have access to Rancho Bella Vista listings the second they hit the market, which gives you a leg up on the competition. As a seller, your home not only will be featured on one of the top Rancho Bella Vista sites on Google, but we also will syndicate your home to hundreds of other sites, hold weekly open houses, send out postcards, and much more! We have helped dozens of buyers & sellers, and look forward to helping you as well! This 5 bedroom, 3 full baths home, located on Straw Lily Drive was recently sold on Thursday, April 18th for &dollar;459,900. With 2,277 square feet of total floorspace, this home is priced at &dollar;201.98 per square foot. That's 12.64% higher than the neighborhood average. There are also 2.00 garage spaces available for parking. Originally built in 2015, this 2-story home sits on a 5,227 square foot lot. Listing provided courtesy of Brandy Markakis at Impact Real Estate.